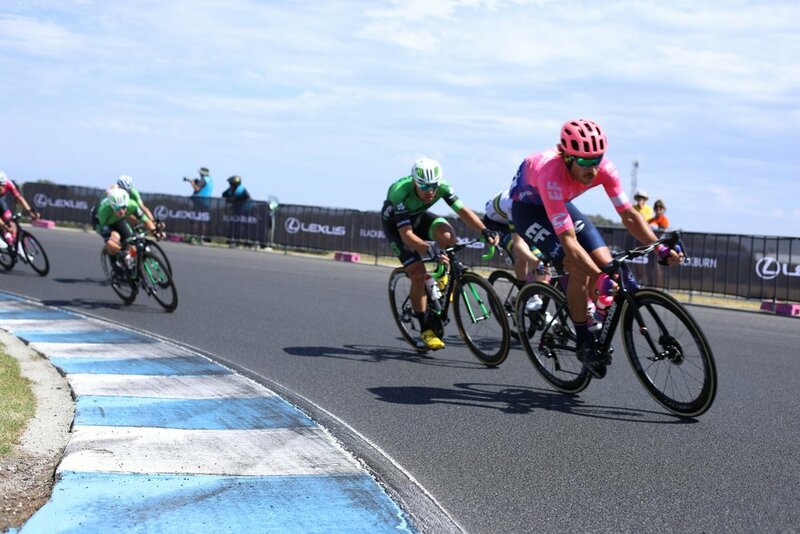 (Athlone, Ireland) January 30, 2019 — Wouter Wippert (NED) powered to third in today’s opening stage at the Jayco Herald Sun Tour. In a photo tight finish, Wippert grabbed third position at the line, with Dan Mclay of EF Education First and Kristoffer Halvorsen of Team Sky taking first and second respectively. Cyrus Monk (AUS) was strong in the early break and then formed a team unit to control the peloton within the last 20km. Monk continues to be instrumental in his ability to aggressively maintain long efforts controlling the front of the races. The team will look to its young riders Harry Sweeny and Daniel Whitehouse as the race heads into the hills tomorrow. 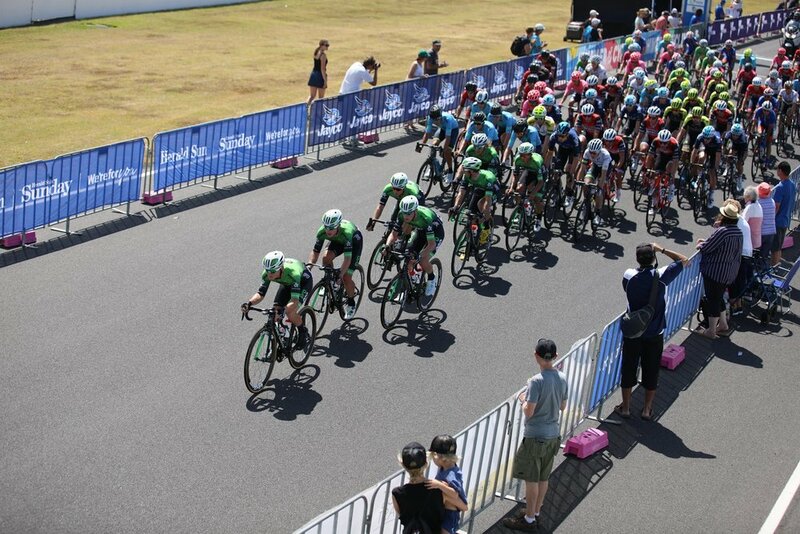 The Irish Professional Cycling team continues the momentum off the GC win by Gate last week at New Zealand Cycling Classic and the team currently now sits atop the UCI Continental points list. EvoPro Racing opens the 2019 season with a split squad, one roster at Jayco Herald Sun Tour and the other in Mallorca Challenge which starts Thursday, led by the team's Irish and Italian riders. Replacing Aqua Blue Sport as Ireland’s only registered UCI cycling team, the new EVO Pro squad has had a very impressive start in the Southern Hemisphere. Last weekend Luke Mudgway won the Gravel and Tar Classic in his home country of New Zealand, with his Australian team-mate Cyrus Monk coming third. 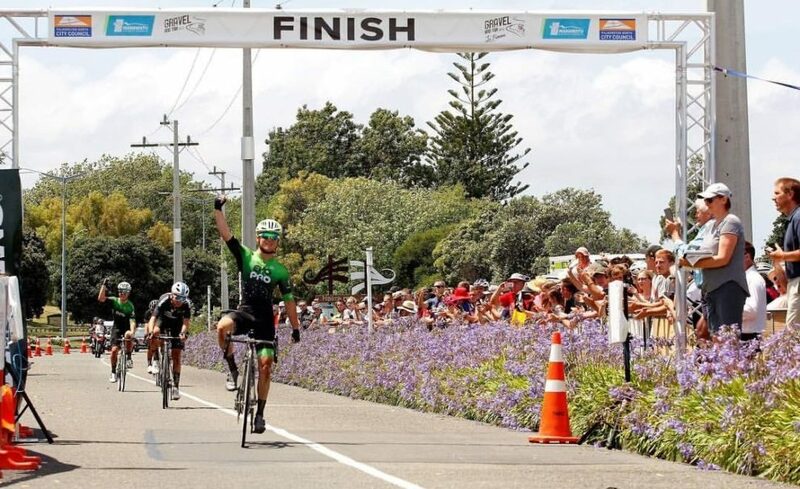 The momentum continued on Wednesday when another Kiwi with the team, Aaron Gate, was first to the line on day one of the five-day New Zealand Cycle Classic. He successfully defended his overall lead when he was tenth on Thursday’s second stage. “Aaron's ride in the breakaway was solid and consistent as we see in the smooth graph. From the 3.5 hrs race, the third hour recorded the highest average power, averaging 323W which is 4.4 W/kg for 3hrs! FSA Powerbox available through FSA retailers worldwide. Have a look here at the full file! EvoPro Racing has taken its first victory in a UCI-ranked race with Luke Mudgway (NZ) doing the honours. The young Kiwi made the winning escape in the Gravel and Tar Classic in his home country earlier today. 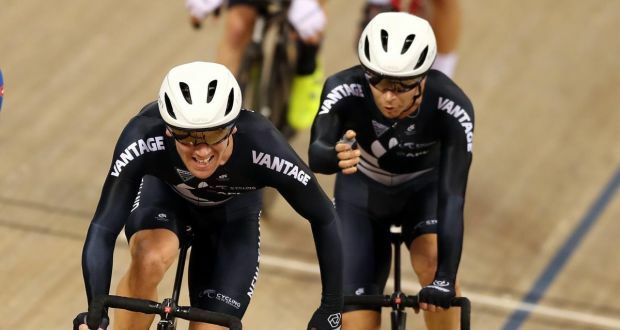 And when it came down to four riders – Mudgway and Cyrus Monk for EvoPro and two New Zealand national team riders – the EvoPro men made no mistake. The Gravel and Tar Classic got underway to warm 25C conditions. With no defending champion Ethan Berends in attendance it would be very interesting to see who would step up to the plate. Luke Mudgway of EvoPro was present and fresh from his win in the Hub Tour, as was last year’s second and third placed riders. Luke Mudgway (EvoPro Racing) set a hot pace from the gun to win the team’s season opener, Gravel and Tar Classic (UCI 1.2) in his hometown Palmerston North, New Zealand. His team-mate Cyrus Monk grabbed third position at the line behind New Zealand’s Ryan Christensen, executing a late race attack to break apart final group heading into the last portion of the gravel sections. “The race today was solid with 5-6 sections of gravel. Daniel Whitehouse lead the team brilliantly into the first gravel section and the race basically blew to bits at the point with about 18 riders coming out of that first section. Each section after a few more riders dropped,” said Mudgway. Irish cycling has been thrown a lifeline with the announcement that the new EvoPro Racing team will form a 17–man roster for its debut season as a professional outfit in 2019. With the Rás Tailteann still without a title sponsor and the sudden closure of the Aqua Blue Sport team last August, EvoPro will prove some relief for Irish cycling which is going through a tough period in terms of attracting investment at a sporting level. “EvoPro was born out of pure passion for the sport of cycling and a belief that we can build a sustainable multi-year project focusing on exceptional talent and strength of character in our cyclists,” said Morgan Fox, head sports director of the team. Fox, himself a former national champion, brings experience to what will be a youthful team with an average age of just 24 and from nine different countries.